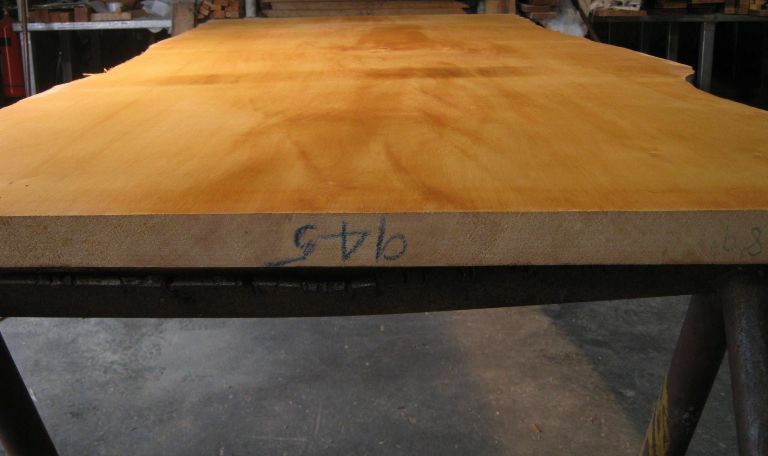 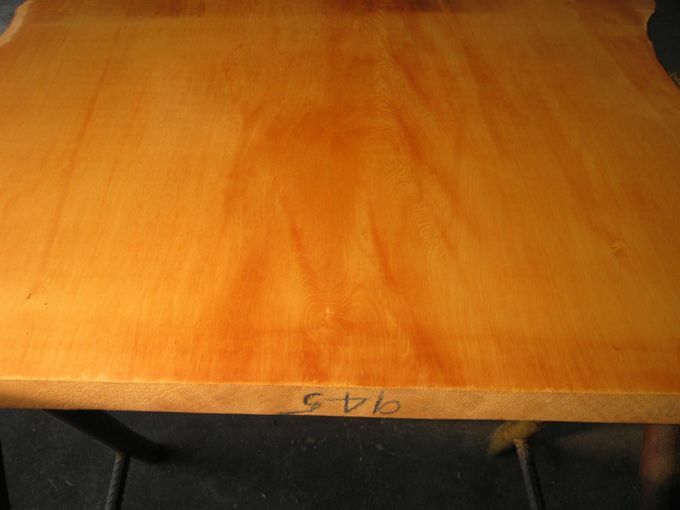 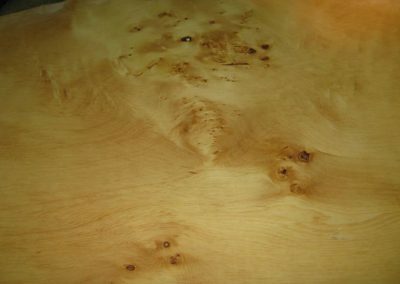 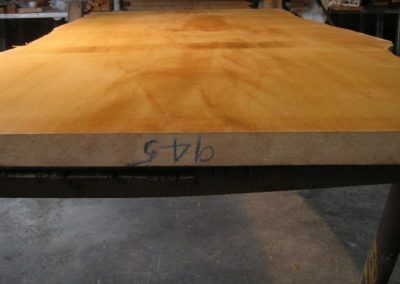 We have selected an offering of some rare and special Huon pine slabs. 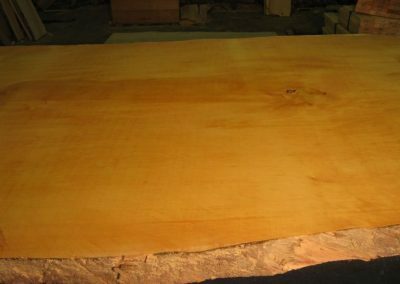 Slab 0945 Nicely figured, this ancient Huon pine slab has an unusual rope pattern, is symmetrically shaped, and has a quality natural edge. 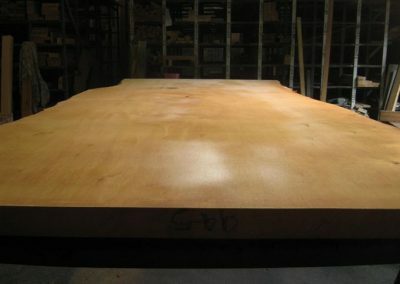 A wonderful one-piece dining room table – a table to build a house around. 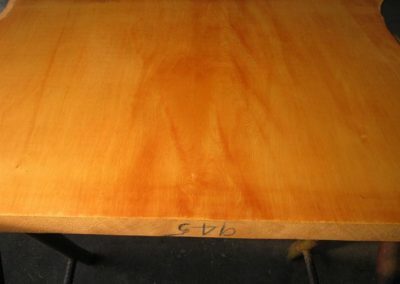 Inspections are welcome by arrangement. 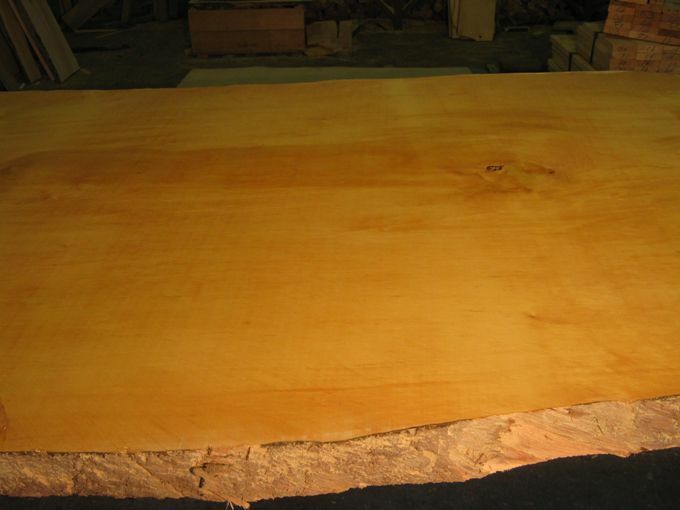 This slab averages over 1.0 m in width, 2.69 m long and 40 mm thick. 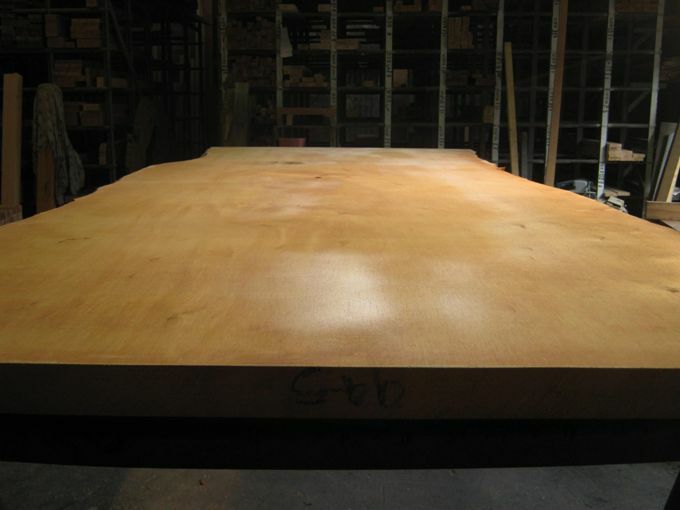 This special slab can be yours for $9,000 + GST, with a further $400 to $1500 to freight it to any Australian mainland capital city.